The two most common mistakes when selecting a Commercial Inspector are (1) looking for the cheapest price, or (2) engaging an inspector without certifications and experience in commercial inspections. To avoid these errors one must learn the difference between a commercial inspection and one performed on a residence by a home inspector. How is a Commercial Inspection Different from a Residential Inspection? Comparing a residential inspection with a commercial inspection is like comparing apples and oranges. While both the apple and the orange are fruits, they are quite different. So too are the residential and commercial inspection. Though both are called ‘inspections’ they are vastly different from each other. A residence is a vital part of life in our society. It has single purpose - it is a place to live. A residential inspection includes a visual, non destructive survey of property. A business produces the revenues necessary to support the stakeholders so they can afford a home. A commercial inspection is a deeply comprehensive survey of a property. It includes multiple aspects not considered in a residential inspection. Properly performed a commercial inspection includes a meticulous examination of the structure and property, its history, and multiple specific and specialized criteria related to current use or the potential new use. A commercial inspection is one completed on a property that is not generally part of private dwelling. Such properties might include restaurants, offices, factories, repair shops, or other locations where business is conducted. Elements surveyed in the inspection of commercial and business properties will vary based on the property type and the needs of the client. For example: Is the client concerned about the placement and operation of currently installed cooking equipment? Is there a need to analyze the current exit capacity to insure that it will meet the needs of an increased occupant load or change of use? Are there concerns about the history of the building and any previous code infractions? What is the maintenance history of the installed equipment? And, numerous other elements of due diligence identified as significant by the client. The specifics of each individual inspection are unique and are laid out and agreed upon by the client and the inspector prior to the inspection. The better understand cost and value of a properly performed commercial inspection a comparison of residential and commercial inspections is helpful. For residential properties the monetary values and risks are a consideration. However, these are fewer and narrower; and there is less monetary risk than in a commercial inspection. With a home, values are based on domestic needs, though other subjective factors may be a part of the equation. The primary financial questions to be asked and answered are, “How much will it cost to (1) acquire, (2) live in, and (3) maintain the home”? 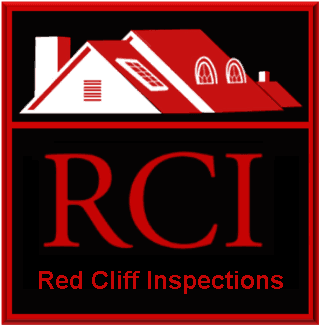 The price of a home inspection performed by an experience and certified inspector can begin at about $250.00 for a small home. The costs go up from there depending on the size and age of the home and other factors. The cost of an inspection is generally a fraction of the cost of the home. That cost is often reclaimed by negotiations using information obtained though the inspection, and through repairs the buyer does not need to fund after the sale. In a commercial investment three similar questions are asked: How much will it cost to acquire, operate, and maintain? But, if these are the only questions asked the picture will be incomplete. There are several more questions that must be asked. These questions will be unique to the property and the purpose of the investment. They might include: How much revenue will be expected through the acquisition of the property? If operations are stopped because of issues with the property or equipment, how much will be lost in revenue, wages, and lost business? What other risks are there which might be associated with life safety, accessibility, and many other factors? The monetary numbers associated with the answers to these questions are dramatically larger than those involved in a residential purchase. Thus, a greater degree of due diligence is demanded, and a proper and thorough inspection, with additional specific and specialized examinations must be completed, in order to properly investigate those risks. The cost of a commercial inspection is higher than that of a residential one. But, the costs of commissioning a suitable and meticulous inspection are nothing compared to the potential losses of closing the deal with a less than thorough inspection. The realization after the sale that the wrong property was acquired will hang as an expensive and embarrassing albatross around the buyer’s neck. An inspection of a business property approached in the same manner as a home inspection will omit vital information that can reveal the need for repairs or re-tooling, and prevent delays in start-up or shut-downs due to surprises. A thorough inspection performed by an inspection team who understands what they are looking at in behalf of the client can prevent exponentially larger losses than a proper commercial inspection will cost.